Which eCommerce platform is best for your small business? About to dip your toes into the world of online commerce? Find out which of the eCommerce solutions is best for you! If you’re looking to begin selling goods or services online, you’ll need to understand each of the eCommerce platforms out there to decide which will meet your needs best. Below, we’ll break down the advantages of each eCommerce platform, the users they work best for, and disadvantages to bear in mind as you begin creating your online store. Shopify is the best solution for people with some money to spend and some available technical expertise. From the very beginning, Shopify makes eCommerce easy and accessible. Depending on the size of your store, you can use Shopify’s interface for as little as $9 a month. The more sales you make, the more you will want to spend on Shopify’s services. You can see a breakdown of pricing and what each Shopify plan offers you on the Shopify site. If your business is smaller and doesn’t have the ability to create fully custom solutions, Shopify is a great platform. With your monthly fee and a free or premium theme, you can be on your way to a full store without worrying about coding any features. Shopify offers Shopify POS to easily facilitate in-store purchases. No matter what Shopify plan you are using, you can take advantage of the Point of Sale platform to easily connect your online and in-store purchases. Hosting is included in every Shopify plan, meaning that you will not need to pay a separate service like GoDaddy for the server space necessary to support your site. You can also purchase your domain directly from Shopify, use a free myshopify.com domain, or use a domain you already have the rights to. Shopify’s app marketplace offers a variety of apps and programs that make using Shopify even easier. Whether you want to hook up social networks to your online store, make returns easier, or connect your accounting directly to the store, there’s an app for it. There are, of course, some disadvantages to using Shopify. Because it is so easy to use out of the box, it can be difficult to fully customize a Shopify store. This difficulty is compounded by the fact that Shopify uses its own language, “Liquid”. Liquid functions essentially as CSS for Shopify, but does not use the same terms. If you’re looking for any customization outside of a premium theme, you’ll either need to learn the liquid language or hire a Shopify specialist. Although the app marketplace can help you add customizations without having to learn Liquid, most of the Shopify apps are paid for as monthly subscriptions. Depending on your business needs and your ability to pay for extra resources, this may make Shopify’s cost out of the question for you. Be sure to research all of the apps you think you’ll need before deciding on Shopify. Additionally, Shopify will take a cut of your transaction unless you are using Shopify Payments for your payment gateway. Shopify Payments is a good payment gateway, so if you have not yet settled on a gateway, don’t fret. Shopify requires that you build ‘clone stores’ in different countries if you do business worldwide. If your business only functions in one country, this won’t be a problem, but making many clone stores can be a pain. Shopify is a good solution for small or mid-size companies. If you’re able to spend the money creating a custom platform, we’d suggest looking into platforms other than Shopify. It’s a great platform for small budgets that need to look as professional as possible, but won’t really do the trick for enterprises and large brands. WooCommerce is an eCommerce platform that integrates directly with WordPress. If you’re willing to spend a bit more time customizing your site, you have experience with WordPress or you’re not frightened by HTML and CSS, WooCommerce is the platform for you. WooCommerce is a free WordPress extension adding product creation and a cart checkout system to your site. This eCommerce platform is great for sellers who use blogging as part of their sales strategy. You can sell physical goods, services or digital products with WooCommerce and use a variety of payment gateways, including Authorize.net, Stripe, Amazon Payments, PayPal, and more. 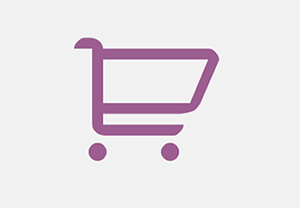 WooCommerce also automatically sets tax rates based on your and your customers’ locations. Like Shopify, WooCommerce offers a variety of free and premium themes for your storefront. However, since WooCommerce uses HTML and CSS rather than Shopify’s Liquid language, it’s much easier to modify a theme to fit your precise needs. WooCommerce themes are also typically built to be mobile-friendly or even mobile first. With more and more users browsing and buying on their phones, making sure your site looks good on a smartphone is vital. They even support making your site into a mobile app! You’ll also be able to sell your products worldwide easily and keep control of all of your own data. WooCommerce additionally offers some built-in data and reporting, although we would still suggest utilizing Google Analytics. Like WordPress, WooCommerce is 100% opensource. They also have thorough documentation and a vibrant support and development community. Because WooCommerce runs on WordPress, you also get the technical SEO advantages of WordPress. This makes WooCommerce a great choice for sellers who rely on a blog to advertise and sell their products. If you’re already comfortable using WordPress to blog, WooCommerce is a natural extension of a business. Although WooCommerce is free, it is quite easy to rack up costs with the addition of WooCommerce extensions. For example, if you want to accept payment forms other than PayPal, you’ll need to pay for a payment gateway like Authorize.net. You’ll also need either enough technical knowledge to know what you’ll need or the ability to learn what you need. When you first set up WooCommerce, you’ll have a rather barebones store. If you want anything beyond the basics, you’ll need assistance. Themes for your WooCommerce site can also run up your costs, although this is true of Shopify and any other eCommerce platform. You’ll also need to pay for your own domain and hosting via a third party. If you’re not confident in your ability to set up your own site, WooCommerce might not be the right choice. Outside of paying for things, you’ll also need to download free extensions for much of the functionality users expect. Even something like a Facebook or Twitter share button needs to be added to your WooCommerce store with a plugin. Additionally, you’ll have to remember to update your WordPress software frequently. If you don’t update WordPress, it becomes easier to hack. This is obviously even a bigger problem when you’re selling goods on a site and not just creating content. Finally, WooCommerce can become very slow if a seller has a large number of products for sale. Many users bail on a slow site, which could limit your sales and increase your abandoned checkouts. WooCommerce is the best option for businesses with a limited amount of products and a decent amount of technical expertise. You’ll benefit from WooCommerce if you use a blog regularly. If you’re going to have a large inventory or are uncomfortable working with HTML/CSS, you’ll want to try Shopify instead of WooCommerce. Magento is the largest eCommerce platform and solution. It is primarily used for large eCommerce enterprises. This is because Magento requires dedicated hosting and a fair amount of development. It can also have complicated or confusing interfaces and structure. Depending on the Magento software you use, you could also pay over $50,000 a year for your platform. However, Magento offers a robust platform with a number of vital out-of-the-box tools. Many of those tools must be paid for or added when using a platform like Shopify or WooCommerce. It’s also the fastest eCommerce platform of these three options and, in some respects, the most easily modifiable. Magento scales easily as you grow and allows you the option to create multiple storefronts from one main account. This is ideal for a business with multiple brands or a business that sells in multiple countries or currencies. Magento itself does not recommend that very small eCommerce businesses start off with the Magento platform. Instead, they direct such users to Zoey Commerce, a partnered software service that uses Magento Community. Zoey Commerce is a great option for businesses that have outgrown platforms like Shopify or WooCommerce but don’t yet have the resources for Magento. 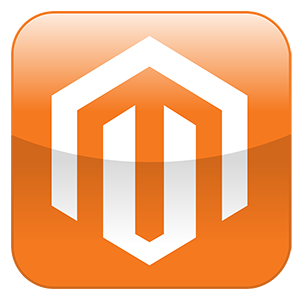 Magento is only a solution for businesses with resources that allow them to hire PHP developers to assist with set-up. Most users agree that after the initial set up, Magento is easy to use. However, Magento really is not the best choice for a small business or people new to selling online. It requires a good amount of technical expertise, plenty of money to put towards development, the ability to wait a few weeks or months for your site, and an understanding of the eCommerce workspace. If you’re willing to work with PHP and do enough sales online to justify the cost of Magento development, Magento is a good option for large businesses. Otherwise, you’re better off sticking with Shopify, WooCommerce or one of the other simpler eCommerce platforms.